Orangen’t you glad you read Curious and Cooking? I bet you never thought it’d be so varied! Today: citrus. We don’t typically think of citrus as winter fruits, but really they are. They ripen slowly through balmy summer and mild fall days, ready in time for us to enjoy that sunshine energy packaged up inside the fruit for the long winter months ahead. Citrus are our original solar cells! Finding organic citrus fruit is a ‘must-do.’ I also counsel buying un-sprayed, or at least citrus from growers who practice, “Integrated Pest Management, AKA, “IPM.” IPM utilizes principles of organic farming with the aim of reducing and eventually eliminating synthetic pesticides and other chemicals. Tree fruits are susecptible to fungul blights and are very often sprayed. Despite (usually) having a thick peel, citrus acts like a sponge, sucking up chemicals sprayed on conventional trees. A rind is a terrible thing to waste! I love to use citrus rind in all types of cooking, even raw grated on salads and ice-cream. Why add a cocktail of chemicals to that Martini? Quick tip if using a lot of citrus: zest (finely grate) the rind into ice cube trays, add a little water and freeze. Each time you want some rind, pop out a cube. Press that, “Easy” button! True orange season is Mid-November through February. This is because most oranges hail from the Northern European and North African Mediterranean basin. However, with some climates producing citrus year round (think Florida, California, even Israel), and the fact that oranges will store well in cool, dry conditions, we get many orange varieties year round. Citrus fruits feature in many recipes from sauces, salads, cakes, breads, beer, and cocktails to preserves. It is difficult to single out favorites. My favorite use for citrus is in sauces.There is the French classic Bigarade, made with orange and port served with duck. Another is the classic English Cumberland sauce – orange and lemon juice mixed with zested rind and added to port and redcurrant jelly. Try it with pork tenderloin for a traditional British Sunday roast dinner. Undoubtedly the most famous of British citrus inventions is Marmalade. When we think of Marmalade we think of the Seville orange. Native to Southern Spain, this incredibly bitter orange has no real culinary use outside of orange marmalade. Growing up in the UK we visited Spain in much the same way our DC and Philly natives visit the Delaware and Jersey shore. 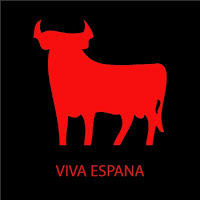 “Downey Ocean Hon” for many Brits are the coastal towns of Southeast and Southwest Spain – the so called, “Costas.” The Coasta Brava, Dorada, del Azahar, Blanca, Calida, Almeria and, my favorite, the Costa del Sol, home to one of Spain’s most beautiful regions: Andalucia. The city of Seville is at the heart of Andalucia. Seville is home to the famous Seville orange mentioned above. Visit any city along Spain’s Costa regions and you will notice the streets overflowing with Seville orange trees, heavy with fruit. Be careful where you park your car! I wondered, like many tourists, why non-one helped themselves to the oranges. I ‘helped myself’ to one while in Malaga. Faithful Spouse was very amused to see me spit the bitter fruit all over the plaza. I learnt a lesson: some produce is renowned for its instantly edible use, and some for its transformational culinary use. Seville oranges are the latter! The bitterness is tempered with a little sugar, and reduced into a highly-flavorful tangy preserve. Urban legend aside, the true origin of marmalade is actually not citrus at all, but Quince. 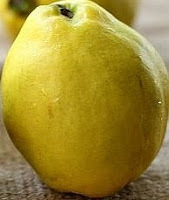 Quince is a pear-like fruit, most frequently used in a preserve known as, “Membrillo” in Spanish cultures. Membrillo is delicious as an accompaniement to fine cheeses. The word, "Marmalade" comes from the Portuguese "inannelo" or "marmelo," meaning Quince. At the end of the 18th century, quince marmalade evolved into the British “Marmalade,” originating in Dundee, Scotland. James Keiller discovered a cheap cargo of oranges that he bought for his store. Discovering that they were too bitter to eat and therefore sell, Keiller gave the oranges to his wife who took them home to make jam. The resulting “jam” was hugely successful and was named Marmalade after Marmelos, the Portuguese word for the quince paste that had a similar texture to the orange jelly. Marmalade is still produced today by the Keiller Company in Dundee. So you see, Marmalade is really a British invention with a branched lineage to mainland Europe. As is the case with many of our manufactured foods, Marmalade was a product of, “Necessity being the mother of invention.” Put another way, an accidental success. There I go again, I made myself laugh! That’s so uncool!